The Silencio 652S is the latest addition to Cooler Master's long-standing range of soundproofed chassis. 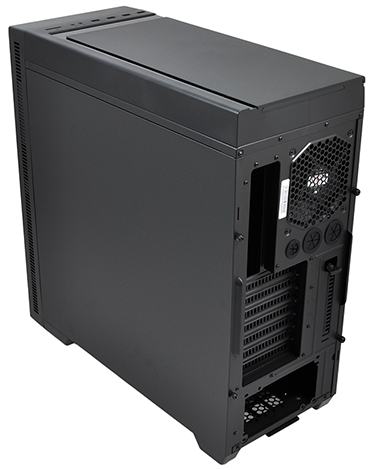 Described by the manufacturer as a "supremely silent mid-tower with noise cancelling materials and an elegant matte finish," the 652S seems a well-rounded option for anyone planning a build that's both powerful and quiet. 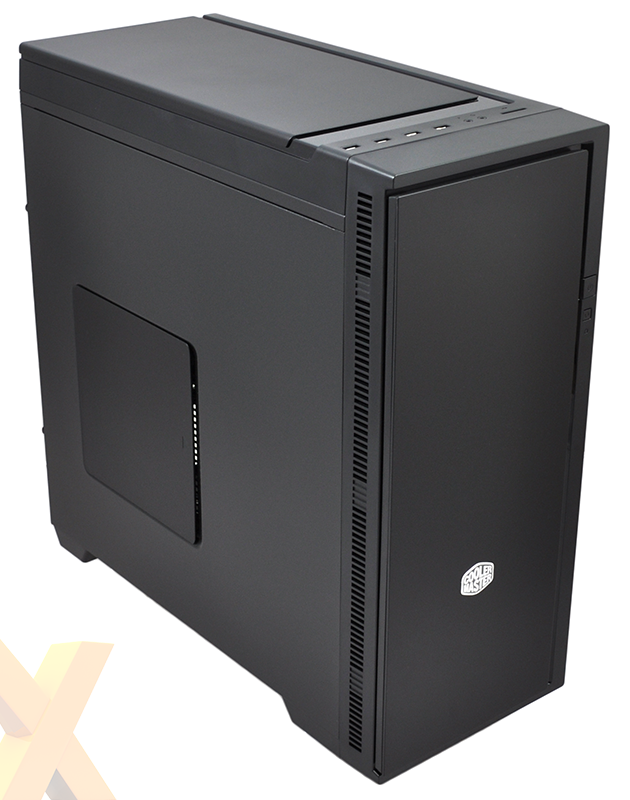 A quick scout around various retailers suggests that the chassis can be yours for around £75, and the figure's about what we'd expect for a mid-tower enclosure of this ilk. Regular readers might have noticed that the price tag puts Cooler Master's chassis up against Fractal Design's £70 Define S - and as both chassis have similar goals, we'll be comparing performance between the two later in our review. Firstly, let's start with a tour of the chassis. As is the case with many enclosures designed to be quiet, the Silencio 652S takes a modest approach to aesthetics. The all-black exterior is rarely interrupted, and though there's a bit of interest in the sculpted plastic fascia on the front and top, this is clearly a case of Cooler Master taking the "not loud" line of thinking quite literally. But that's not necessarily a bad thing. Like Fractal's Define S, the Silencio 652S wasn't designed to turn heads and instead blends neatly into the background. It's an elegant-enough package that isn't meant to be showy in any way - it's simple and sleek, and more importantly, build quality is good throughout. A row of I/O ports lining the top of the chassis includes four USB ports (two SuperSpeed, two regular), headset and microphone jacks, as well as a handy SD card reader, but no fan controller, which is a surprise omission on a silence-optimised case. Note that the power and reset buttons are positioned on the front of the chassis, on the right-hand edge about a quarter of the way down the frame. 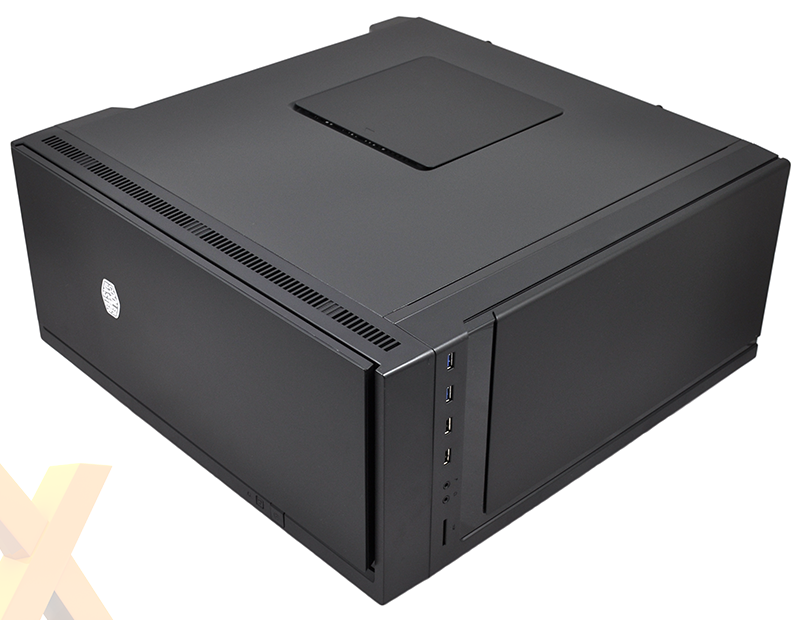 The chassis measures 220mm x 507mm x 509mm in size and will therefore likely sit beneath a desk, and while it's a personal preference, a top-mounted power button may have been more appropriate. 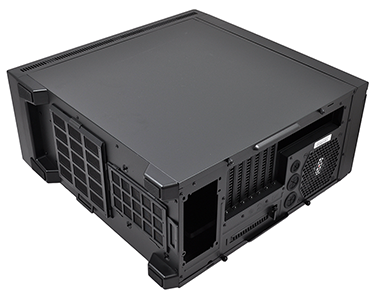 One of the chassis' stand-out features is the fact that almost every vent/fan mount is covered. 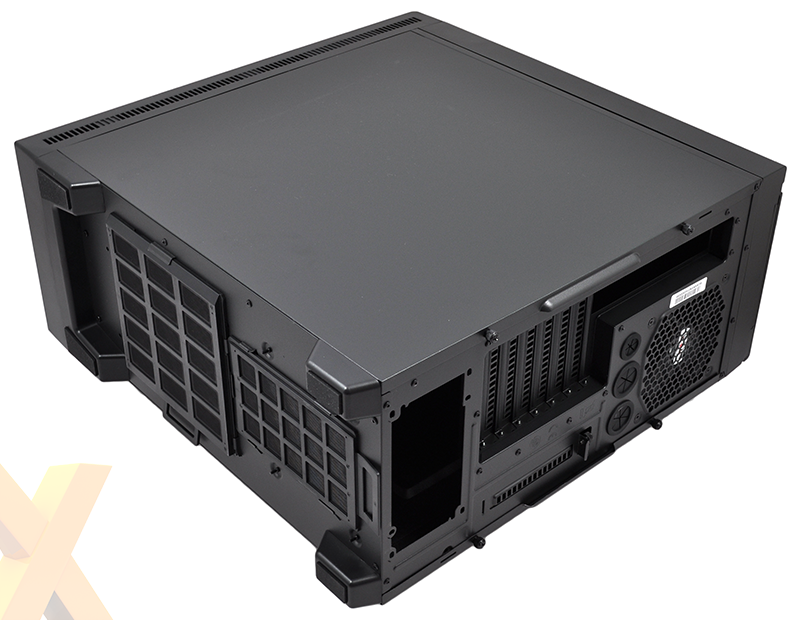 This includes the 180/200mm slot on the side panel as well as the dual 120/140mm mounts up top, and the front two 120mm fan mounts are tucked neatly behind a plastic door. The door and side panels are all lined with a sound-dampening material, and save for the slits either side of the front, Cooler Master has covered up most vents through which noise might escape. Getting access to the top mounts is as easy as sliding off the plastic shroud, but there are no slits for airflow up here, so installing top fans would mean keeping the cover off for good and spoiling the chassis' clean lines. On the plus side, the top and front fan mounts are all protected by a pop-out mesh filter, and there are pull-out filters underneath the chassis, too - one sliding out to the side and the other out the back.